One of the important government identification cards that Filipinos must get is the TIN (Tax Identification Number) ID. This is a valid card that will never expire. Therefore, this is convenient to have. Good news is, it is easy to get a TIN ID Card from the Bureau of Internal Revenue (BIR) office. Here are the steps for the application that anyone can easily follow. New applicant How, Where can I Get a Digitized TIN Card with the BIR? Requirements: PSA Birth Certificate and at least one valid ID especially fore those who have an existing TIN already. 2. Fill up TIN application form (there are different kinds of forms, ask assistance to find the right form). 3. Submit the application form at the counter. Present your requirements. 4. Wait for Tax Identification Number to be given. 5. Request for your TIN Card ID, which applicants are entitled to according to E.O. 98. 6. Wait for the ID. If the office is not busy, it can be processed within 1 hour. However, during very busy days, applicants may need to return the following day. How to get TIN number for unemployed? A TIN (Taxpayer Identification Number) is usually given to new taxpayers, such as individual taxpayers and juridical taxpayers. But how about if you’re not an income earner or if you’re an unemployed person, can you still get a TIN? Aside from the taxpayers who are income earners, persons in need of TIN for E.O. 98 purposes are also eligible or qualified to acquire TIN from the BIR. Persons registering under E.O. 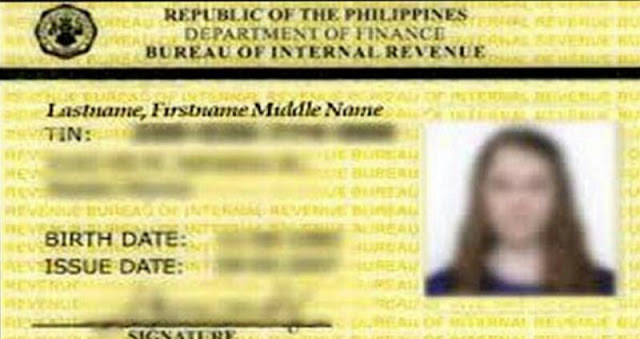 98 are those individuals who are securing TIN to be able to transact with government offices, such as LTO, NBI, DFA, and other government agencies and instrumentalities. This order prompted the BIR to allow persons, who are required to provide TIN in their transactions with other government offices, to secure TIN from the bureau. Therefore, saying that only business owners, professionals, and employees are eligible to have TIN is not true. 1. Secure and fill out BIR Form 1904. Make a duplicate copy for your file – this should also be stamped received and signed by the BIR. jurisdiction over the place or residence of the applicant. 4. Ask when can you receive your TIN Card, and wait for its issuance. Note: BIR will first check in their database if you have not been issued a previous and existing TIN before. So before you apply for a TIN, make sure that it’s your first time and you don’t have any previous TIN. Remember that possession of more than one Taxpayer Identification Number is criminally punishable pursuant to the National Internal Revenue Code of 1997, as amended. How to get TIN ID Card online? Easiest and fastest way to get TIN online dub Tax ID Number using BIR eReg. The BIR eReg https://ereg.bir.gov.ph or efps.bir.gov.ph has cool features for taxpayers providing convenient services like issuance of TIN online, Payment of Registration Fee and generation of Certificate of Registration. 2. Enter your info details. Make sure every detail you enter is accurate. 3. Double check each detail and select SUBMIT. 4. You’re done. Wait for an email from the BIR regarding the issuance of your TIN. Note: You only need to do this registration if and only if you never have registered a TIN before. It is prohibited by law to register more than one TIN. Losing such important ID is so difficult but normally if you go BIR office you can retrieve BIR TIN number. Requirements: Affidavit of Loss, if lost; and Old TIN Card (if replacement is due to damaged card). Where to File? Taxpayer applicant submits duly accomplished BIR Form 1905 to RDO/LTAD I or II/LTDO where he is registered. How to File? Taxpayer applicant submits duly accomplished BIR Form 1905 to RDO/LTAD I or II/LTDO where he is registered together with the required attachments. How to get tin number for foreigners? Steps: Accomplish BIR Form 1902 and submit the same, together with the required attachments, to the RDO having jurisdiction over the place of residence of the applicant. Deadline: Application for registration shall be accomplished and filed before filing a return, statement or declaration as required in the Tax Code and payment of any tax due.